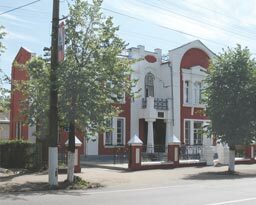 The Varentsov Mansion (41, Sovetskaya Steet). 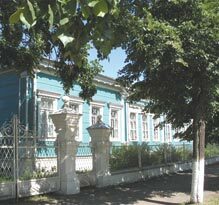 Within the southern boundaries of the old earthen ramparts stands a beautiful stone mansion of the early 20th century that was owned by an honorable citizen of Pereslavl, Alexey Varentsov, and his son Vladimir, who studied the flora of the Peresavl region. 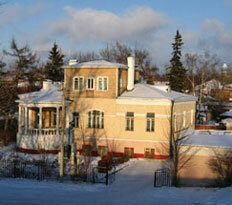 The Varenzov family lived in their residence till 1918. After eviction they moved to a house in the suburbs of Pereslavl. Until 1927 Vladimir worked as a forester. Then he married and went to Siberia. The old inner doors, fragments of decoration and floor mosaic have survived to our day. Today the building accommodates the administration of the national park “Plesheevo lake”.